This was shot back in 2012 after a long hike in the Margalla Hills. Upon reaching the ridge at the top, this sight of the setting sun greeted us. 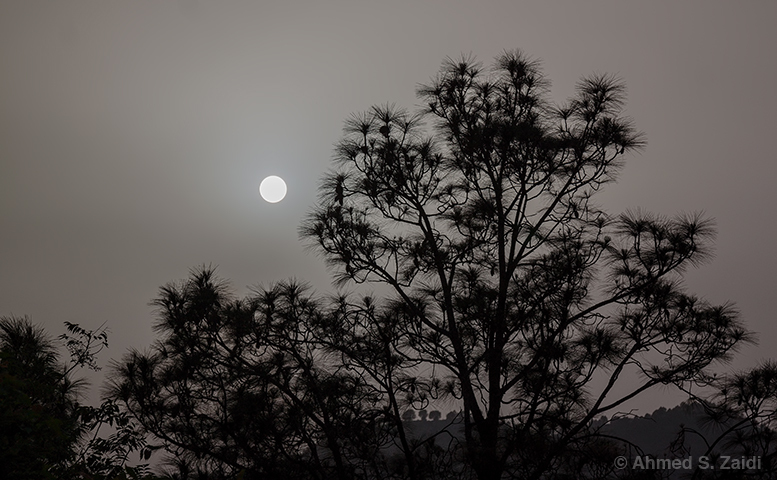 The haze made it look like the moon and gave a beautiful monochrome glow to the surrounding area.